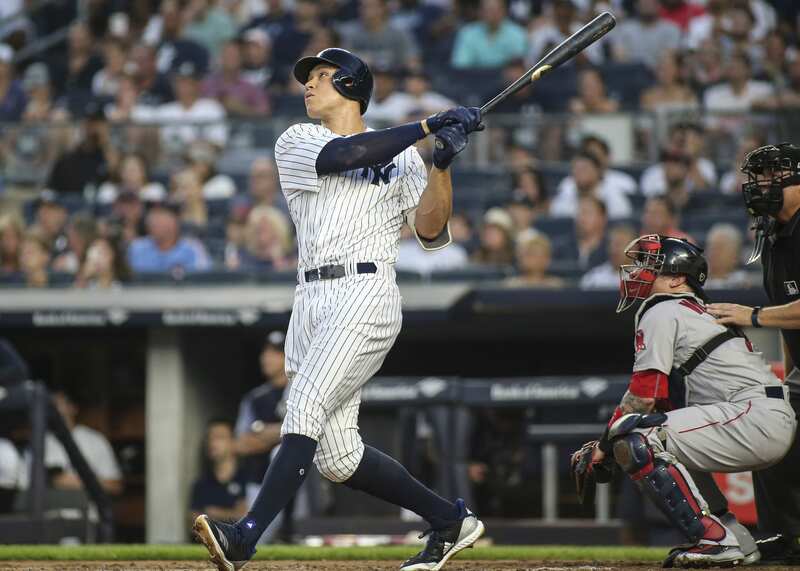 Home New York Yankees How Did Aaron Judge Impact The New York Yankees in 2018? Before breaking down New York Yankees‘ outfielder Aaron Judge’s stats, we must take a look at his 2017 numbers and recognize the fact that he missed several weeks due to a wrist injury. Judge finished ’17 with 155 games played, 678 plate appearances, 128 runs, 154 hits, 52 home runs, and 208 strikeouts. If you take a look at his strikeout margin, you can see that he records an out in that regard every 3.2 plate appearance. If we assume that most players record four attempts per game, that’s more than one strikeout per game. The narrative is that Judge can continue to strikeout at a high rate if he continues to hit a massive amount of home runs. That idea changed a bit in 2018, as his HR total dropped while his strikeouts remained high. Last season, he struck out every 3.2 at bats, but only recorded 27 home runs. Of course this is without an additional 180 at bats due to his fractured wrist. His RBI’s were cut in half from 2017-2018 (114-67). The only uptick in his batting was his ability to record doubles. With 180 less at bats last season, he recorded 22 doubles when in ’17 he amassed 24. This would suggest that his launch angle was lowered, which may have affected his ability to hit home-runs, rather keeping the ball inside of the park. Just how much did Judge influence the Yankees in 2018? Now, you might look at the stats in notice that Judge fell off a bit in several sub-categories, but it’s essential to recognize his impact on the team. Despite the fact that Judge missed one third of the season, the Yankees felt the loss when it came to their run totals per game. When the big bat was in the lineup, the Yankees went 73-39 and averaged 5.42 runs per game. With him out, they were just 27-22 and scored 4.86 runs per game. That’s a noticeable difference, and that’s not even considering his defensive abilities. So, to wrap up, we can say that Judge struggled in some categories, but his abilities as a player are unparalleled. He influences the game in more than just offensive production, as his defense is just as important. He will only continue to progress as a player in the future, especially at just 26 years old.